Carol Ann Bennington Andries, died with family by her side on Easter Sunday, April 1, 2018, at St. David’s Hospital in Austin, Texas at the age of 90 after suffering two strokes. Carol was born on August 24, 1927 in St. Paul, Minnesota. She is preceded in death by her mother, Anna Spilker Bennington, her father, Ralph Bennington, both of Dallas, Texas and her brother William Bennington, of Carrollton, Texas. Carol is also preceded in death by her husband of 34 years, Francis Milton Andries of Austin, Texas. Also preceded in death by her granddaughter, Jennifer Ann Coleman Slatton and her husband, Kenneth Clinton Slatton of Gainesville, Florida. Carol’s surviving sister is Mary Alice Bennington Yelverton, age 96, of Boerne, Texas. Christopher Ralph Andries, 66, and his wife, Stephanie Andries, of Plano, Texas, and their son, Derek Andries of Austin, Texas. Kathleen Francis Andries Harris, 64, of Pflugerville, Texas, and her daughters; Christine Louise Coleman Recio, 38, of Austin, Texas and Kimberly Michelle Davis, 27, of Pflugerville, Texas. Karen Ann Andries Lumpe, 63, of Niwot, Colorado, her husband, Jerry Lumpe, and their sons; Jared Lumpe and Aaron Lumpe. Mark Gilbert Andries, 60, of San Diego, California. Mary Helen Andries Clarke, 58, of Seattle, Washington. Elaine Clare Andries Hartle, 57, of San Antonio, Texas, her husband Steve Hartle, and their sons; Reece Hartle, Keith Hartle, Gabe Hartle, and Caleb Hartle. Paul John Andries, 55, of Austin, Texas. Therese Louise Andries Alexander, 54, of Shanghai, China, her husband, Tobin Alexander, and their daughter, Madeleine Alexander. Elizabeth Carol Andries, 48, of Las Vegas, Nevada. Carol had five great grandchildren; William Henley Slatton, 17, Emma Victoria Slatton, 15, Ryan Philip Slatton, 12, John “Jack” Spencer Slatton, 10 and Thomas Kent Slatton, 8, all of Pflugerville, Texas. Carol is also survived by her nieces; Suzanne Bennington Hall of Carrollton, Texas and her husband Steve Hall and Carol Ann Bennington Ratliff and her husband Steve Ratliff of Dallas, Texas. She is also survived by her nephew, Bobby Yelverton of Dallas, Texas and her niece, Melissa Yelverton of Dallas, Texas. In lieu of flowers, the family requests that donations be made to the Pflugerville Care Center on Heatherwilde Drive in Pflugerville, Texas, where Carol spent the last years of her life, to purchase a new sound system. She made many friends among the other patients, nurses and staff and we believe she would want to be remembered for bringing music into the lives of all of those friends she leaves behind. 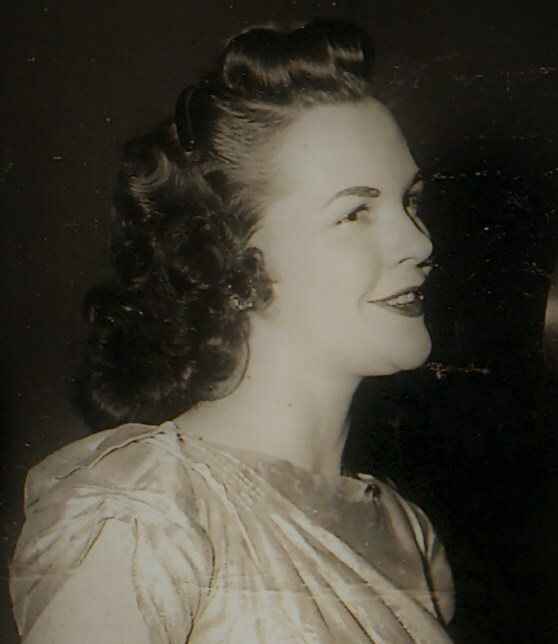 Carol Ann Bennington Andries had a successful career as a professional singer under the stage name of Ann Carroll in the Ft. Worth area and sang with an 18 piece band during the Big Band era. She had her own radio show and continued to sing at weddings and family gatherings well into her 80’s. Carol loved to sing and to listen to music. She lived to play Scrabble with her daughters and in her last days with her dear friend and roommate, La Vern Barrington. She was an avid reader and she enjoyed watching “Wheel of Fortune” and “Jeopardy” each evening. She had a sharp intellect and a witty sense of humor and a wonderful laugh. She will be missed dearly by the many that loved her. Christopher Andries: My clearest memory of Mom is when she decided to visit me at my fraternity house. She really thought it would be like in the old movies with guys in smoking jackets and a house mother. I will never forget her face coming through the beaded doorway to see me drinking beer and playing pool at 10:30 on a Sunday morning. I always enjoyed her sense of humor and naiveté in worldly matters. I thank her for teaching me to be polite to everyone. I always was aware she was proud of me. Kathleen Andries Harris: My favorite memories will always include the hours and hours Mom and I spent playing Scrabble and laughing at silly jokes. Mom and I sang together at her piano many, many times over so many years. But my most cherished memory was among the last few lucid moments Mom had before going into surgery after her first stroke. She had tears in her eyes and said, “I’m afraid.” I told her I know and asked if she wanted to pray. She said yes and in the middle of the bustling ER, we said the “Our Father” out loud together. That seemed to bring her peace. Then, I asked if she wanted to sing together and she quietly nodded. We sang “Somewhere Over the Rainbow” together. She didn’t miss a note! I turned to see a nurse with tears going down her face. It was the perfect way for us to say goodbye to each other. Helen Andries Clarke: Once Mom and I took a road trip up to Glacier National Park. We had gotten a late start that morning and the Going to the Sun Road took much longer to travel than I had anticipated, and of course we stopped many times along the way to enjoy the amazing views, take pictures and eat. By the time we got back down into the nearby town of Whitefish it was late and we were both tired and hungry so we had dinner at a good restaurant and found a nice little hotel where we could stay the night. It was a wonderful trip but what I liked most about it was that Mom was so adventurous and didn't mind that we had to request toothbrushes from the front desk and wear the same clothes back home the next day. During that same visit I took her to a swinging bridge over the Kootenai River. We had my dog, Riley, a Springer Spaniel with us. I had to carry Riley up the steel steps to the swinging bridge because he was scared since you could see through the steps, which Mom found hilarious. We hung out there for a while enjoying the view and then started to make our way back up. Mom ran out of steam and I suggested we sit and rest for a while. Anyone who knows Mom knows how stubborn she could be. She didn't want to rest and instead suggested we take a short cut which was up a VERY steep hill. I tried to warn her but she insisted she could do it. It was tough even for me! She was struggling but still adamant that she could make it and grabbed onto Riley's tail and I got behind her and pushed! Sure enough she made it! You will be in my heart always, Mom. Elaine Andries Hartle: I kept coming back to how much she enjoyed her queso and chips. She always wanted to make sure a second order of queso was made for the table so no one would ask her to share and she was dead serious about it! Just a stupid story but it spoke to how, when she wanted something, she was going to have it. Also she wasn’t afraid to let you know what was not going to happen and I admired that because we worry so much about looking selfish, etc. when we should just be direct about what we want and don’t want. A lesson she would remind me of with queso! Paul Andries: One of my earliest memories, ever, was mom singing to me when I was sick. I must have been in kindergarten. I remember crying and hearing her singing “how much for the doggie in the window” It was wonderful. It took my mind off my aches and pains and comforted me as only a mother could. I will miss her quick-wit and sense of humor. Therese Andries Alexander: We would always see movie sets while driving around in Austin. Mom would always say, “you really should stop and just go ask if you could be in their movie!” She would do this ALL the time. Then one day we past yet another movie set, “Therese you need to pull over and ask them to be in their movie, I know they would find you something!” I said, “you know you are right!” as I start pulling the car over, I said, “I bet they will put you in it too, let’s go together and ask them! This will be great!” She never asked me that ever again. Beth Andries: Things I have great memories of with Mom are; Practicing Carol Burnett type tarzan yells - in the car, Her washing my hair in the sink as a kid - grubby little tomboy I was otherwise!, Seeing her face when I got all dolled up for my wedding in Vegas, since I rarely dress up, Always telling me what she thought of me and the qualities she loved about me - made me feel bulletproof!